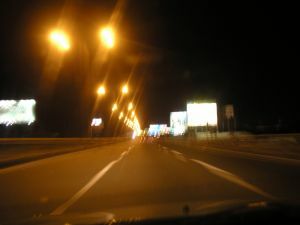 Truck drivers are often operating their vehicles while drowsy as their work shift call for long hours on the open road. Our Atlanta truck accident attorneys understand the risks that drowsy drivers pose to the safety of all motorists on our roadways. Drivers of passenger vehicles are more at risk in these types of accidents as they’re the ones who are more commonly seriously injured or killed in the event of an accident with a large truck. The National Highway Traffic Safety Administration reports more than 3,000 motorists were killed, and 74,000 were injured, in accidents involving these large commercial trucks in 2009. Less than one-fourth of the injury or fatality victims were in the tractor-trailers at the time of the accident. The NHTSA found that more than 100 large trucks were involved in fatal accidents in Georgia in 2009. Make sure you get enough sleep the night before. If you’ve got a trip planned that involves a significant amount of driving, be sure to prepare yourself for the trip by getting enough sleep in the days leading up to the trip. Avoid driving when you’re sleepy. If you feel the effects of drowsiness at the wheel, you should pull over, take a break or get a hotel room to catch up on your rest. Schedule a break. It is recommended that you drive no longer than 2 hours, or every 100 miles, before stopping and taking a break. Travel with a passenger. When you’re traveling with another passenger, be sure to take turns driving as the other passenger catches up on rest. This will cut your personal driving time in half.